East west engagement rings are rings that are positioned in an unconventional way. Rather than the stone being set in a typical direction, the stones in these rings face left to right. The result is a ring that is interesting in a subtle way. These engagement rings are ideal for those who want to retain a mostly classic look while still enjoying a bit of an edge. Keep reading to get inspired by some stunning examples of how this ring could look. If you're looking for something a little different, east west engagement rings give your ring a unique look while still retaining the classic style of a conventional ring. Here are just some examples that show the beauty of these rings. 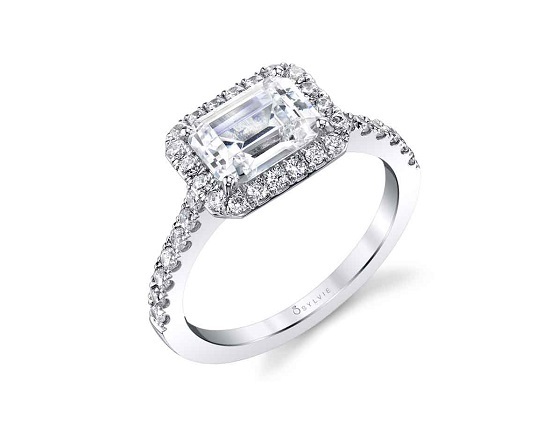 Emerald cut stones work well with this style, for good reason. The elongated nature of this cut means that it can well in its classic vertical position or in a horizontal position. This cut works well in any type of setting and can be as simple or unique as you choose. 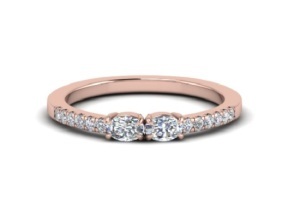 In a simple gold or platinum band with a simple setting, the look is sophisticated and timeless. You could add a bit of extra sparkle by including tiny pave stones along the band or even around the stone. 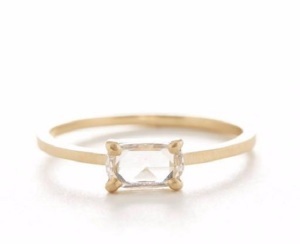 Once again, an emerald cut diamond or precious stone works perfectly in this ring. Depending on the metal of the band and the colour of the stone, there is plenty of variation possible in this design. Pear cut stones are another one that works well for east west rings. 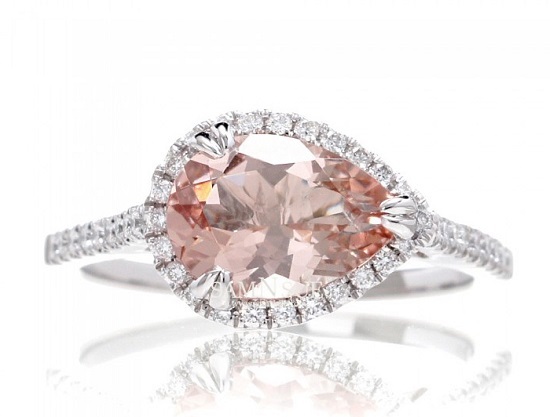 This adds an unusual touch to the ring that can be made even more interesting by opting for a stone such as morganite instead of a diamond. Tiny pave stones add visual detail. Opt for a cool-toned metal such as white gold or platinum or try rose gold for something warmer. Marquise cut stones are naturally suited to east west designs as well, thanks to their symmetry. 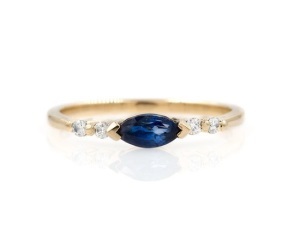 This bold ring features a beautiful blue sapphire flanked by a few tiny side stones set into a gold band. The combination of colours in this ring will make it eye-catching. You could also keep it simple by choosing a diamond for your centre stone. 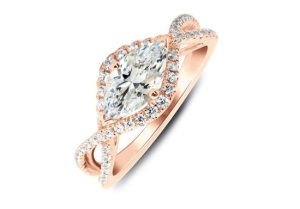 Another way that you could use the marquise cut in this type of ring is by adding a twist to the band. Keep the band plain or add some pave stones for extra sparkle. If you lean towards feminine rings, this one is sure to be dazzling. In rose gold, yellow gold or platinum, it is a show-stopper that will turn heads. The princess cut stone works well in this design, too. A simple square turned to face a different direction helps the ring to become completely different from how it would look usually. 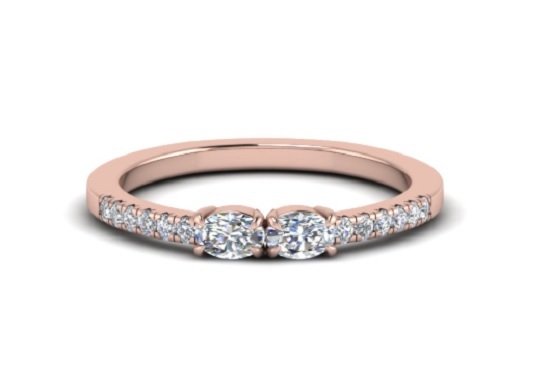 Add in a coloured diamond and some pave stones, and the result is a stand-out ring that can be tailored according to your preferred stone and band colour. This delicate two stone ring uses east west ovals flanked by tiny pave stones on a fine band. Whether you keep all of the stones diamonds or change the colour of one or more stones, this ring is pretty and simple. 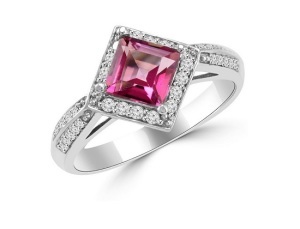 This style would be ideal for those who prefer subtle rings and would look gorgeous in any metal. Cape Diamonds helps turn your dream ring into a reality. Contact us today to find out how we can help you create your very own custom engagement ring in Cape Town and surrounds.